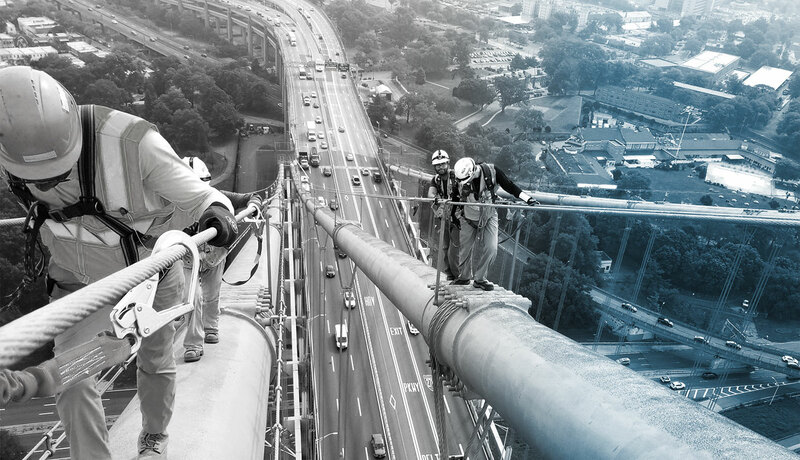 Alta Vista provides biennial bridge inspections on two major New York bridges: the Robert F. Kennedy and Verrazano-Narrows bridges. Working as a subcontractor with prime consultants WSP, AI Engineers, and Hardesty & Hanover, our team conducts inspections and helps with condition assessment reports for the superstructure and substructure, including girders, floor beams, stringers, piers, retaining walls, abutments, bridge decks, wearing surface, light poles, parapet and drainage elements. Our New York team also provides design work for structural repairs on components that need immediate repair, and performs testing to determine the extent of any deterioration. We also provide interim and special inspections and conduct studies to determine the scope of future projects for these bridges. When providing these services, Alta Vista ensures that the work follows Federal Highway Administration, New York State Department of Transportation, and TBTA guidelines.